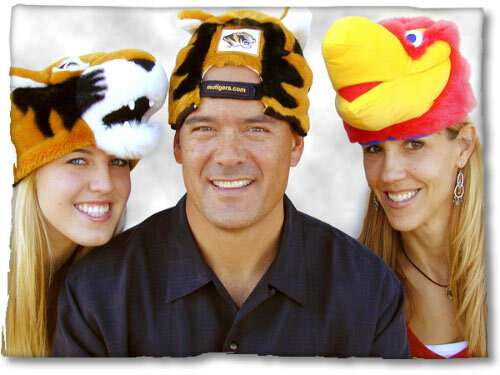 Support your favorite team with a TeamHeads mascot hat, plush character and key chain… the ultimate way to show your team spirit! There are TeamHeads for NCAA teams, national basketball teams, American Hockey League teams and more. Custom orders are available for schools, special events and promotions. TeamHeads is exclusively licensed by Collegiate Licensing Company, the National Basketball Association, Licensing Resource Group, the American Hockey League and some National Hockey League teams. Be sure to check out the fan-tastic fan-hatical fans in the fan-abulous fan-hatical gallery.